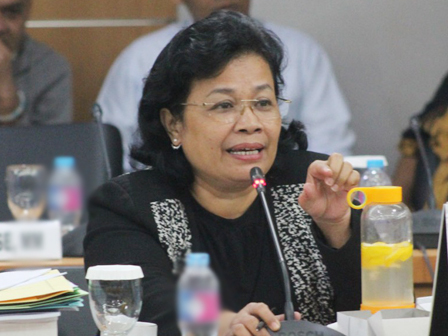 " We want them to be dynamic"
City Council's Regional Regulation Formation (Bapemperda), Merry Hotma reveals Jakarta Small and Medium Enterprises (IKM) must be more competitiveness. They must be able to fix the management system and product quality. "The product should fit the needs of citizens. In addition, it is necessary creativity for the development of management," she said, Tuesday (4/18). She details IKM, as it exists in Pulogadung Small Industry Village (PIK), East Jakarta still needs special attention to be more developed in order to attract the investors and to foster IKM actors. "We're discussing on industry draft bylaw. It will be a legal protection to guide and develop them," she explained. After ratifying draft bylaw into bylaw, Jakarta Industry and Energy Dept. would be an authorized agency dealing with IKM. "We want them to be dynamic. The existing issues should be mapped to be solved," she finished.